Have you seen or heard about fidget spinners? «« Click to BUY! If you or your employees are lookin' for something to do around the shop, consider fidgeting! Spinners are the rage right now. Now, they may seem trivial, and this may seem rather simplistic, but are fidget spinners just a pastime like yoyo's? Is this just a playground fad? Fitting in the palm of the hand with one central bearing that is pinched between a finger and thumb, a typically three-pronged "blade" is hit to cause it to rotate. That's all it does: spins when given a whack with your free hand and fluctuated with shaking motions. They’re claimed to help children concentrate and soothe those with learning difficulties such as ADHD and autism, although this has been disputed by experts. Medical Use for Fidget Spinning? "Well, they're more for attention. Like Fidgety kids. So, think of people who twirl their hair or click their pens repeatedly or shake their legs all while having to sit or listen. Spinners do the same thing and are more appropriate for kids. Also, often kids don't have to 'look' to listen so spinning and listening improves their ability to retain what's learned." "They would be good for visual tracking and timing. There's no wrist exercise or hand coordination. All it requires is pinch on one hand and index finger isolation on the other. So maybe if you're looking for stability, isolation, or to teach someone to tuck the last 3 fingers. Depends on the injury that is intended to be rehabilitated." There's your proof folks. There's your medical expert's opinion on the usefulness of fidget spinners as more than just a distraction fad. 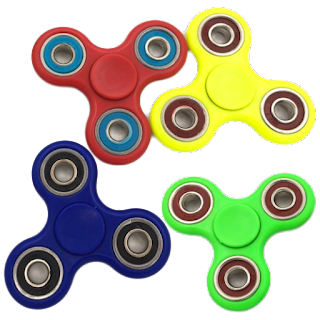 Rather than a distraction, it appears now that a fidget spinner may serve as a type of pacifier to ease people (children) into better listening and retention.